It's extremely rare to find yourself with the perfect plot of land if you're building a new home in an urban area. The neighbouring homes may run right to the edge of your property, the side with the best view may not receive the best light, or the sunlight might be struggling to reach the garden area… perhaps you don't even have space for a garden or a garage at all. The home has neighbouring properties set quite closely on two sides. On the third and final sides we have a quiet road and a lovely garden. 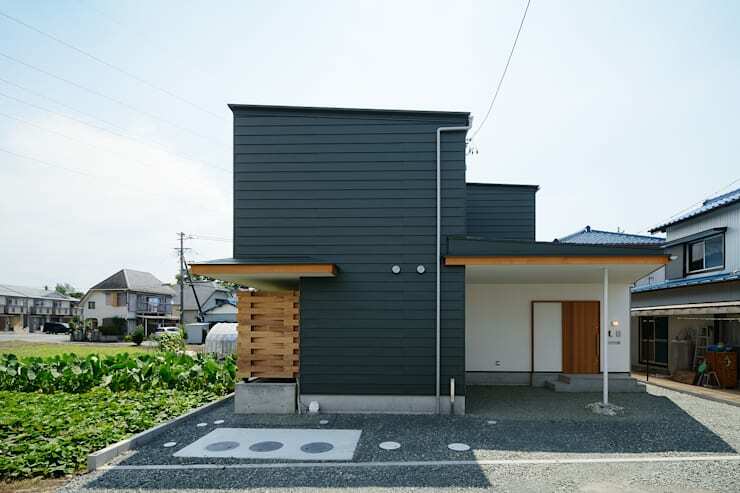 In response, the architects built the home with no windows on three sides. It's quite a bold move, but one that manages to work. A big factor in its' success lies in the use of a timber exterior. This adds a cosy, friendly feel to the private exterior. All the natural light in the home comes from the large windows at the rear of the property. These give the home an even natural illumination throughout the day. They also give the occupants a good view of the surroundings. Note how the upper level has been designed in a U-shape. This area is used to create a private courtyard. In the combined dining/kitchen, we have a very humble and minimalist aesthetic. 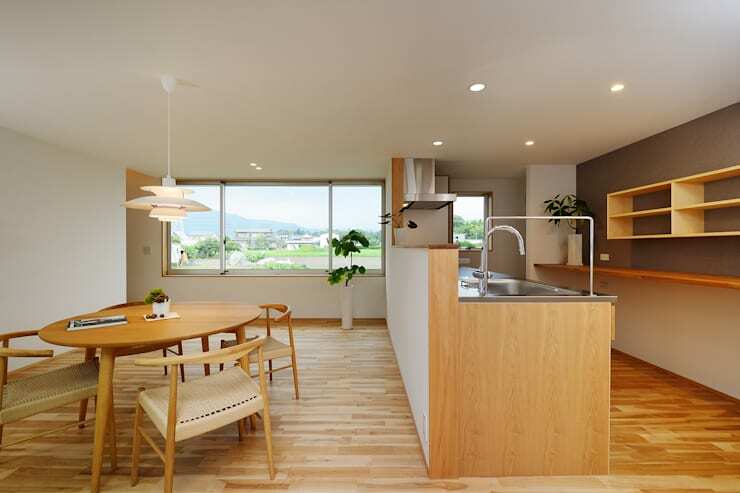 The home is furnished with built-in units all made from natural wood. The colours are neutral and there is little on display. The biggest takeaway here is the sense of natural abundance. 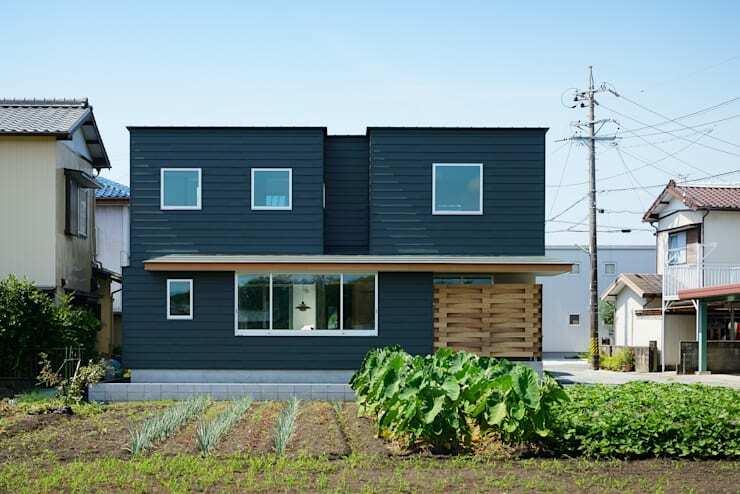 It is not an aesthetic you might expect on seeing the facade of this home from the street. A stainless steel kitchen bench gives the kitchen a very practical touch. This kind of kitchen bench is popular in industrial style kitchens for obvious reason. The glossy, neutral tones also form a good counterpoint to all the natural wood in the room. 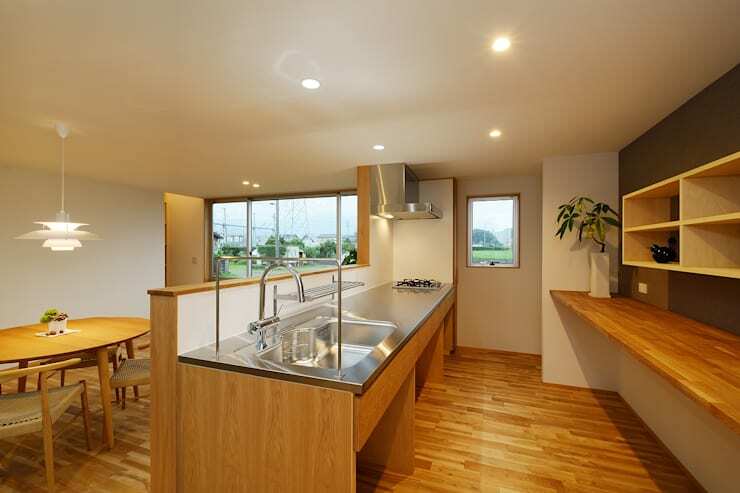 It's interesting to see the slightly raised wall running along this kitchen bench. This means that those in the dining room are shielded from the inevitable mess of the activity in the kitchen. 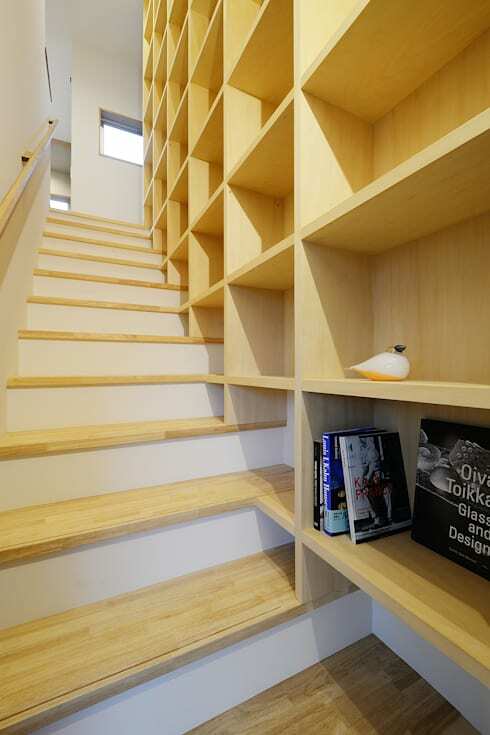 Built-in bookcases are extremely common in modern Japanese homes. We love them because they help create a sense of simplicity in this kind of home. This particular wooden bookcase design is interesting because of how it's been integrated into the steps of the wooden staircase. But our favourite feature is the courtyard design. Let's check it out. This tiny little wooden courtyard or terrace is awesome because it shows that even the smallest urban home can have a private outdoor space. It is bounded by large glass windows and doors on three sides, so as to make the most of that natural light. This also helps give the very private home a good jolt of outdoor life. 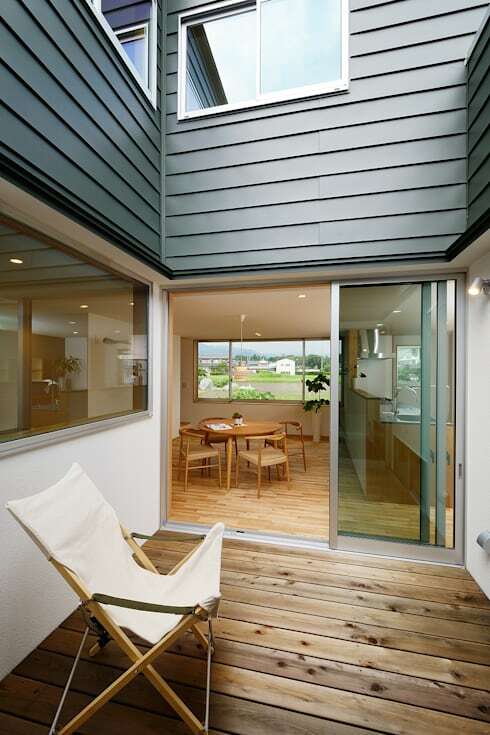 Light pours down from the opening in the top and disperses throughout the home. The neighbours wouldn't even know it exists! We have another cute little urban home you have to check out: A tiny wooden home tucked away in the city. What do you think of the design of this home?